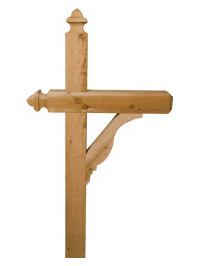 A cedar mailbox post provides your custom mailbox with a sturdy base and timeless styling. Otto’s Streetscape Solutions can pair your mailbox with a post to match. Choose from our selection of colors, coats, styles, accessories and post toppers to match the needs of your home or neighborhood.